Italy Student VISA Consultancy firm in Bangladesh. Italy has played an important role in European higher education by being one of the four countries that first engaged to create the so-called “European Area of Higher Education” (Sorbonne Declaration, May 1998); thus, starting that type of higher education reform which, known as “Bologna Process” (Bologna Declaration, June 1999), is being implemented all over the Europe. 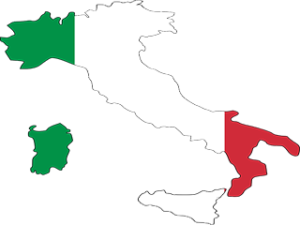 Today, Italy ranks among the 8 most industrialized countries in the world. With industry-leading companies, both state-owned and private, it has developed a sound network of small and medium-sized undertakings which promoted the establishment of a few scientific parks, and applied research in a great variety of fields (biology, ICT, medicine, physics, etc.). Exotic International is Italy Student VISA consultancy firm in Bangladesh. It works for Italian Top Class University Admission, Arrangement of Italian Scholarships and Student VISA service by grooming them for VISA application, VISA interview, presentation of other relevant documents in order to get a VISA and post departure facilities for the student by arranging Hostel/Dorm etc. We also provide the List of Scholarships, Grants, and Fellowships for International Students not only in ITALY but also whole over the world. Thus, it is recognized as the Best Italy Student VISA Consultancy Firm in Bangladesh. Our integrity and enthusiastic triumphs covers the field of Student VISA took us to the new horizon of reliability and responsibility. With authenticity, which is accompanied by accountability makes of the best Italy Student VISA agency/agent in Bangladesh. We are always welcome and happy to provide such assistance to anyone who needed help with their Overseas education/admission/Scholarships in Italy or Europe. Don’t hesitate to Contact us if you need assistance in finding the right school for you. Our friendly staff will be happy to assist you. Intakes: September-October, February-March. But, normally international Students are taken in great numbers in September-October session. Undergraduate Courses Taught in English (3 Years): A wide range of Bachelor program (Taught in English) are available Computer Science, Electrical & Electronics Engineering, Mechanical Engineering, Engineering Sciences, Biotechnology, B.B.A, Finance, Management and Marketing, Finance and Banking, Economics, MBBS, Pharmacy etc. Masters Courses Taught in English (2 Years): There are almost exciting 492 Masters Course in Italy, (Taught in English). Physics, Chemistry, Mathematics, Biology, Statistics etc. Networking and Information Technology, Management and Marketing, Finance and Banking, Computer Science, Electrical & Electronics Engineering, Civil Engineering, Economics, Organization Management, International Business, Management, Planning and Management of Tourism Systems, Finance and other latest state-of-art programs etc. are available. Second Cycle Degree Program: It is the second level of university studies. Prior to the reforms introduced by Italian ministerial Degree, this type of degree was called “Specialistica”. Tuition Fees: All Fees are subjected to the University and Subject selection made by the student. Third World country students are expected to be treated in a different manner because of their Economical inabilities. So, various Scholarships and Grants can be availed with the minimum of efforts; thus, making the students free of any Tuition fee burdens ***(We will arrange that where applicable). 1 year health insurance and health insurance companies accepted by Schengen States. A “D VISA Application Form” completed and signed by the applicant. A valid passport with an expiry date of 6 months into the future from the expected date of VISA issuance. Offer Letter from the respective Italian Institute. A Pre-Enrolment Form (Form A). Copy of DOV (Declaration of Value). Copies of IOM (International Organization for Migration) verified documents. Bank Statement (Proof of means of financial support not fewer than €350.57 per month for the intended period of stay in Italy). Sponsor’s source of income documents.